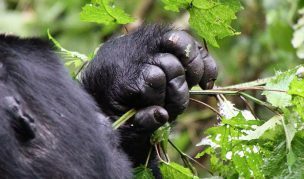 This amazing adventure takes us to ‘Bwindi Impenetrable Forest’ in Uganda’s mountainous far southwestern tip where you will have the opportunity to track Mountain Gorillas. The beauty of this rain-forest is spectacular. The area offers a dramatic, steeply forested landscape and is incredibly dense, but crisscrossed by numerous animal trails allowing access to tourists. The time taken and the terrain vary as per the movements of these great primates. The thrill of spending time observing these gentle and endangered giants is an awesome, exciting experience to be long savored. Many find it to be a rare and moving opportunity. 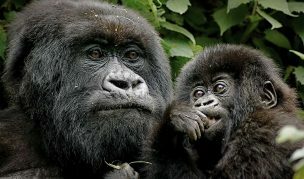 The tracking can take place at Nkuringo or at Rushaga (1 hr drive from Nkuringo), as per the gorilla permits obtained. Arrival in Entebbe as per your international flights and transfer to Papyrus Guest House. In the afternoon (departure from the hotel must be max at 14.30/15.00 hours) departure by car and local canoe to Mabamba Swamp, one of the best places for spotting the rare shoebill storks. Of course some fortune is needed but rarely does one leave the swamp without seeing one! Many other water birds have chosen this area as their home so birding is always very interesting. Enjoy a relaxing sundowner on Lake Victoria and then return to the Guest House. Upon arrival meeting with the vehicle and our walking safari guide for a briefing on the very interesting activities of the day which will be adapted to the clients’ desires. You can either walk for approx. 90 minutes – 4km to Lake Mutanda Sheba’s Camp – or drive 30 minutes to the lake. You then “settle” in a dugout canoe for 2-3 hours of gentle relaxed cruising across the lake, enjoying the beautiful landscape. After lunch at a restaurant on the lake shores, continuation on foot till Rubuguri (9km – 2/3 hours) where you meet up the vehicle and drive for another 10 km up to the Lodge in Nkuringo (approx 1 hour). Of course you can also be picked up by the vehicle at the lake and drive all the way up to the Lodge. Guests decide! After breakfast, at around 7:45 am, with packed lunch and drinking water you will be transfer to the National Park Head Quarters for the briefing on the dos and the don’ts while with the gorillas. You then continue to the forest for the start of the actual gorilla tracking. The beauty of this rainforest is spectacular. The area offers a dramatic, steeply forested landscape and is incredibly dense, but crisscrossed by numerous animal trails allowing access to tourists. The time taken and the terrain vary as per the movements of these great primates. The thrill of spending time observing these gentle and endangered giants is an awesome, exciting experience to be long savored. Many find it to be a rare and moving opportunity. 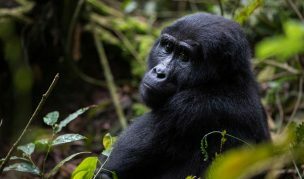 The tracking can take place at Nkuringo or at Rushaga (1 hr drive from Nkuringo), as per the gorilla permits obtained. After a very early breakfast, drive 7 km along the Nteko Ridge to the junction of the Ivy River Trail with the forest and start your unforgettable hike (13km – 4-5 hours). Bwindi Impenetrable Forest National Park is a vast unique natural reserve – monkeys, duikers, bush pigs and some of Bwindi’s world renowned bird species plus many butterflies can be sighted. 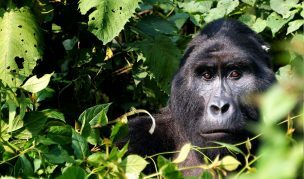 If you are very lucky you may even encounter gorillas! 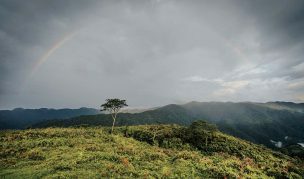 Once part of a much larger forest that included the Virunga Volcanoes in neighboring Rwanda, the park is nowadays an ecological island within a sea of villages and farmland, its conservation importance is immense. The emphasis of this activity is for your walking guide to share his knowledge of the forest with you, it is not simply an A to B hike. 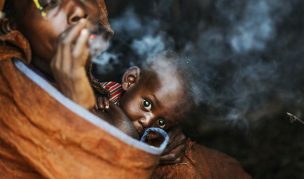 The trail is also an important footpath for local people, particularly on market days, travelling from Nkuringo and Nteko to Buhoma, on the northern boundary of the park. There is no road through Bwindi so vehicles driving between the two locations have an incredible 170 km bone jarring journey taking 6 to 8 hours. Upon arrival at the park headquarters in Buhoma, meet with the vehicle and continue With an early breakfast, proceed to the park headquarters for a nature walk from Nkuringo to Buhoma. Enjoy a 15km walk from Nkuringo following the Kashasha River and Ivy River trails. This is a full day walk where there would be an opportunity of visiting the Munyaga River falls in the forest. The emphasis of this activity is for your walking guide to share his knowledge of the forest that you come into contact with and not simply an A to B. Enjoy an early morning game drives in the Ishasha sector of Queen Elizabeth National Park. The Ishasha area of Queen Elizabeth National Park is rich with wildlife including warthog, water buck, bush buck, leopard, Ugandan kob, elephants, countless bird species and even the rare giant forest hog. The Ishasha sector of the park is known for its famous tree climbing lions sometimes found lying about in the branches of the native fig trees. – the game drive will be followed by Bush breakfast and nature walk along the Ishasha River before driving to Kibale. Enjoy the land scape as you set off to Kibale Forest National Park found in Fort Portal, a town at the south-western side of Uganda. The park bares homage to a very large number of primates. Start your day with breakfast at the lodge. Transfer to Kanyanchu Tourist Center for a briefing on Chimpanzee tracking. Kibale’s most popular activity is the Kanyanchu Primate Walk. Thirteen species can be sought, and a good variety of diurnal monkeys invariably encountered, but the stars of this trail are the chimpanzees. Kanyanchu’s chimps have been tracked since 1993 and the chances of locating them are excellent. Morning guided walks start at 8am and last an average of three hours. 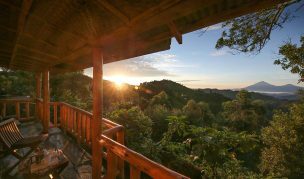 In the afternoon, hike up to the top of the world, with breathtaking views of the crater lakes, visit the tea plantation before continuing back to the lodge. Morning visit of the Bigodi swamp walk, then proceed with your driver for 2hour drive to Kasese Airstrip, for scheduled flight to Entebbe. Transfer straight to the Airport, in case clients require to freshen up before the flight, complementary room at Papyrus.